Sagging, wrinkled, or puckered skin can leave you feeling less than your best. If skin imperfections like these are hurting your confidence, it’s time to do something about it. 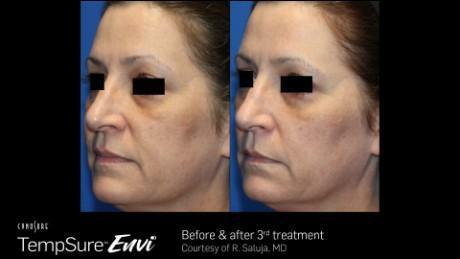 The medical practitioners at CostCare are proud to offer TempSure Envi as a solution to aging skin and other concerns. Serving the Missoula, Montana, community, the expert team at CostCare uses the latest technology to help you achieve more youthful-looking skin. Call the office today at (406) 541-3046 to learn more or schedule your initial consultation. TempSure Envi is a cutting-edge aesthetic system that uses 300W monopolar radiofrequency to address wrinkles, aging skin, cellulite, and more. The technology in TempSure Envi gives the providers the power to give you real, effective results. The TempSure Envi system delivers incredibly accurate results, using targeted radiofrequency to penetrate the surface layers of skin, regenerating collagen and tightening skin naturally. TempSure Envi gives the team at CostCare best-in-class temperature sensing and control, which means the best possible results for you. With five handpieces of various sizes, your treatment can be completely customized to your specific needs. 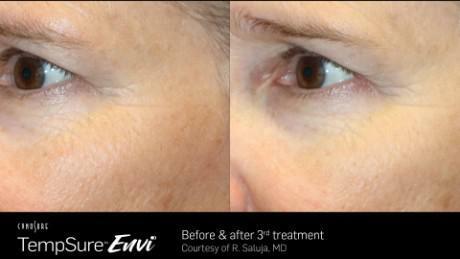 TempSure Envi is skin tightening, without injections or surgery. It’s a safe, reliable method of treating those frustrating lines, wrinkles, and other skin imperfections. With no injections required, an average of 99% of patients report their procedure was comfortable and relaxing. 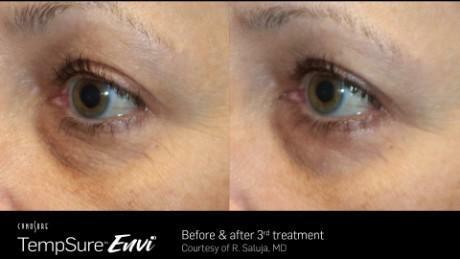 What can TempSure Envi treat? 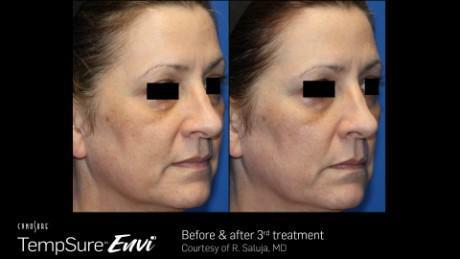 The flexible TempSure Envi system can treat a variety of skin concerns. The TempSure Envi system heats deep layers of skin and regenerates collagen. Collagen is the substance that keeps your skin plump and elastic, and your skin’s collagen production naturally decreases with age. TempSure Envi rejuvenates your skin’s collagen production and helps reduce the look of facial lines and wrinkles. At CostCare, we also use TempSure Envi’s flexible system to treat cellulite, among other skin imperfections. You don’t have to live with frustrating skin concerns like wrinkles, lumps, and bumps. The trained team at CostCare can help you achieve tighter, smoother skin with TempSure Envi. Who is a good candidate for TempSure Envi? If you suffer from fine lines and wrinkles or cellulite, TempSure Envi may be a good choice for you. Prior to beginning any aesthetic treatment at CostCare, our highly-trained team meets with you one-on-one to discuss your needs and goals. TempSure Envi is suitable for all skin types, making it a good treatment option for many conditions, regardless of your age or skin tone. We will assess your skin concerns and propose a treatment plan that’s right for you to help you get the skin you’ll love.